It’s the weekend and we have a list of things for you to do in around Victoria, September 15 to the 16th. Have a great time! What: It’s the opening night of Victoria’s most happening music festival! The three day, four night music festival that takes over Royal Athletic Park by day and the downtown core of Victoria by night is finally here. With nearly 200 artists—including Daniel Caesar, Jessie Reyez, Adventure Club, Current Swell & Friends, Bishop Briggs, and Lights—this year promises to be the biggest yet. What: Crafted Farmhouse Market is a vintage – handcrafted – One of a kind shopping experience for modern and vintage goods. Featuring carefully selected collective goods, from local makers showcasing only the best of the best. Local live music, food trucks, Hoyne Beer on tap! 80+ Local handcrafted curators, sweet treats, warm drinks and a vintage vibe! When: September 15 from 10 a.m. to 5 p.m.
What: Victoria is filled with interesting old buildings, from the grand and stately to the colourful and quirky. It’s often easy to tell what goes on behind the doors today, but have you ever wondered what stories lie behind some of the older facades? This BC Archives workshop will explore the tools available to research the structures around us, using photographs, blueprints, fire insurance maps and more. From heritage homes to public spaces, each building has a much deeper history than its bricks and mortar. When: September 15 from 10 a.m. to 1 p.m.
What: Celebrate Mexican Independence Day! Special performance by “La Rivas” from Vancouver & Fiesta Latina Folklore Dancers. When: Saturday September 15 from 8 a.m. to 1 a.m.
Red Lion Inn & Suites Victoria – 3366 Douglas St.
What: The one you’ve all been waiting for: it’s our 2018 Season Finale! Warm up your derby-watching muscles with the Rotten Apples Jr Derby versus Department of Derby. These two teams met up last fall and it was the Apple’s first win in a while! The Apples have been working hard to take the win again this year! At 7:30pm, the Belles of the Brawl will battle to regain the Calamity Cup from the Margarita Villains! After a handsome beat down by the Villains in 2017, the Belles of the Brawl are restless to see their name back on the trophy! When: September 15 from 5 p.m. to 9 p.m.
What: Celebrating 109 years of Fall Fairs in the Western Communities. From rides to Sand drags – there’s ton to do for everyone. What: You are invited to the Victoria Fall Dream Wedding Show – a great opportunity to meet the best wedding experts in person, take in some over-the-top design inspiration, and enjoy access to many wedding planning promotional offers! 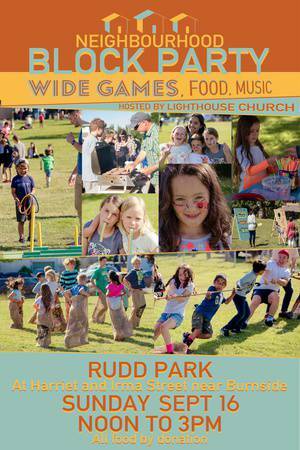 When: September 15 from 10 a.m. to 4 p.m.
What: Bring a picnic blanket and the family for a fun afternoon at Rudd Park. Music, by-donation food items, lots of wide games for all ages, old-fashioned races, relays, and silly water balloon fun along with a pre-school and younger obstacle course and a draw for prizes from local businesses! When: Sunday September 16th 12 p.m. – 3:00pm.